Companies are becoming increasing aware about the possible cost of their carbon footprint, so it may well be worth while to consider the following example. For a truck travelling 150,000 Km per year, installing the SDR will safe 2,250 litres of diesel. 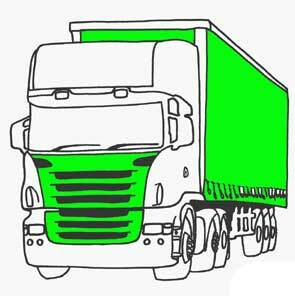 Each truck adds 2.86 litres of CO2 per litre of fuel consumed to the atmosphere. Therefore this truck reduces 6,435 Kg of CO2 per year.